Any Chicago neighborhood can shout that. But Chicago’s official Community Area #1 is Rogers Park, in the city’s northeast corner. That’s where some anonymous U of C social scientist started the numbering system in the 1920s. The earliest residents here were the Potawatomi. Sometime before 1800 they established villages along the glacial ridge that’s now Ridge Boulevard. The land eastward toward the lake was too low and swampy for much of anything. When white Americans moved in, they stuck to the high ground. In 1839 Philip Rogers built a cabin near (present-day) Ridge and Lunt, and began truck farming. Over the next several years, other farmers settled in Mr. Rogers’ neighborhood. Patrick Touhy, Rogers’ son-in-law, really spurred development. During the 1860s he organized many of the locals into a building and land association. The Chicago & North Western Railroad arrived on the scene in 1873. 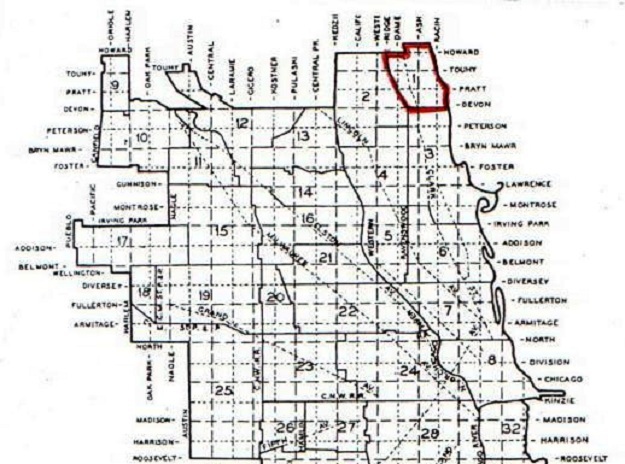 Five years later, the Village of Rogers Park was incorporated. Growth was slow but steady. 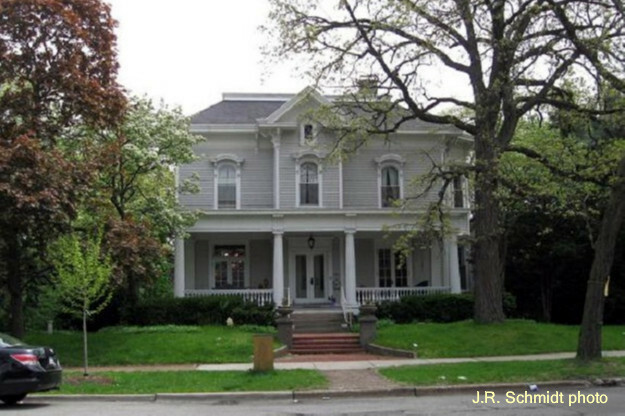 Large Victorian homes were erected in the blocks between the C&NW line and the ridge. A small commercial district sprang up just east of the train station, around Clark and Lunt. In 1885 a second commuter line was completed through the eastern lowlands by the Chicago, Milwaukee & St. Paul Railroad. 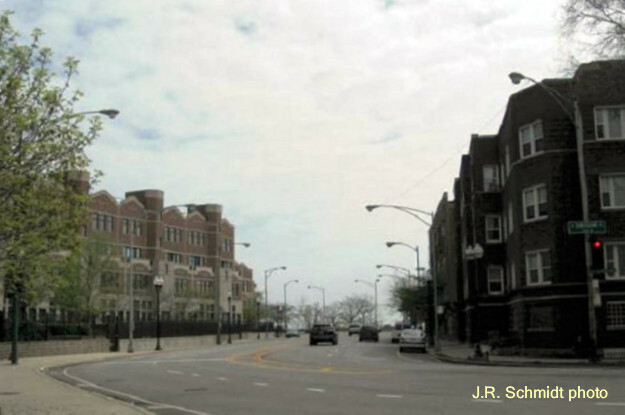 Rogers Park was a sleepy little community of 3500 people when Chicago annexed it in 1893. But as the century turned, ‘L’ service came to Rogers Park over the CM&SP right-of-way. And then Rogers Park really took off. Loyola University relocated from the West Side. Two-flats and large apartment blocks went up near the ‘L’, and the Howard line became the city’s busiest. The population jumped from 6,700 in 1910 to over 57,000 twenty years later. Rogers Park didn’t have a single dominant shopping district. Most stores were small and locally-owned, and could be found in clusters near the ‘L’ stations. Clark Street, the main streetcar line, developed its own commercial ribbon. Howard Street was a special case. The street bordered Evanston–which was dry–so a whole range of bars and liquor stores set up on the Chicago-side of Howard. ”Going to Howard” was a favorite field-trip for generations of Northwestern students. East of the ‘L’ the border jumped north of Howard to include the few blocks up to Calvary Cemetery. Here the narrow streets were crammed with three-story apartments that shaded the sidewalks the whole day. Someone called the area The Jungle, and the name stuck. In Patrick Touhy’s day, most people in Rogers Park were English in ancestry. They were later joined by Germans and some Irish. Beginning about 1910, a significant number of Russian Jews began moving into the community. By 1950, when the population reached 63,000, they were the largest identifiable ethnic/religious group. Rogers Park was a good place to live. Public transit was fast, stores were plentiful, crime was low, rents were affordable, and Lake Michigan was at your doorstep. That last one was important in the era before air conditioning. 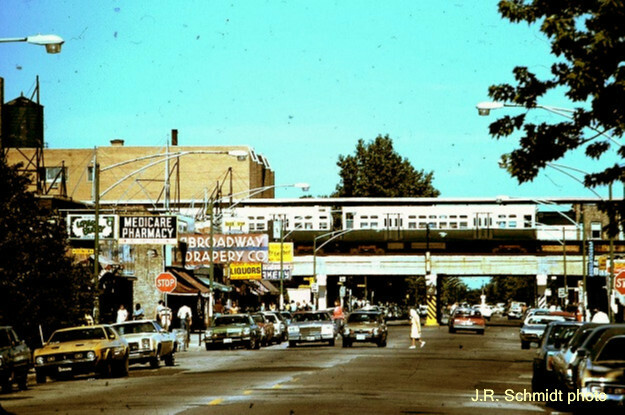 My wife and I lived in Rogers Park during the 1970s. Our apartment was across from Loyola Beach, and if you sat in the right chair, you could actually see the lake from our living room. Nearly every summer weekend, relatives and long-lost friends descended on us. Could the reason have been that it was often 20 degrees cooler at our place than a few miles inland? 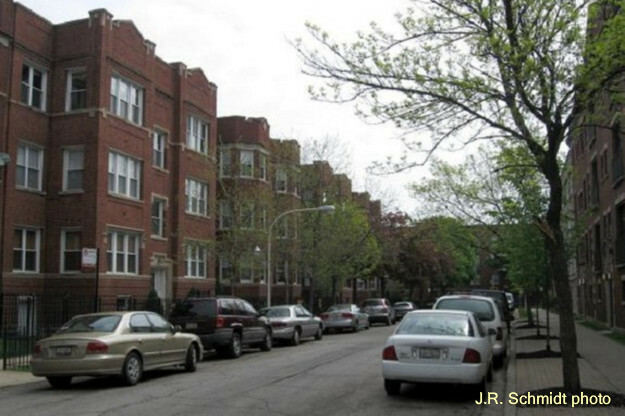 In the years since, like many Chicago communities, Rogers Park has had problems. Some of the older housing deteriorated. Businesses left. Crime increased. Parts of The Jungle became blighted. Yet the positive factors remain. Meanwhile, new construction has replaced many run-down buildings. The Gateway Centre Plaza has helped stabilize the area around the ‘L’ terminal. The 2010 Census counted 55,000 people in Rogers Park. The community has a diverse population–39% White, 26% African-American, 24% Hispanic, 7% Asian. Rogers Park also boasts an active historical society and numerous other community organizations. "We&apos;re Number One!” In many ways, it’s true.